One gram gold Nagapadam Jhumka/Jimikki with stone. Back is stem with screw type. 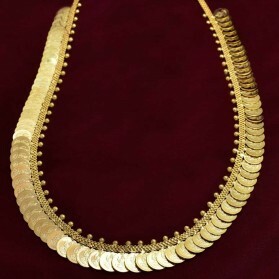 This Jimukki is very traditional and ethnic South Indian, Kerala Jewelry. 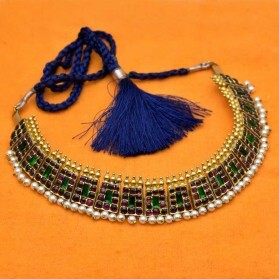 It is best with traditional Necklace or Mala. 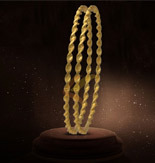 It is worn by Kerala brides and Classical dancers. Antique Matte Peacock Ruby Emerald Jhumkha Earrings is a very trendy as well as classic party wear Jewellery. 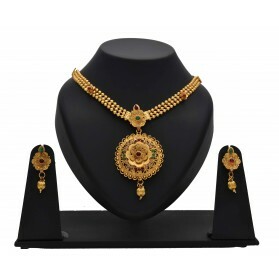 This gorgeous adornment is embellished with Ruby Emerald stones and golden beads hangings. 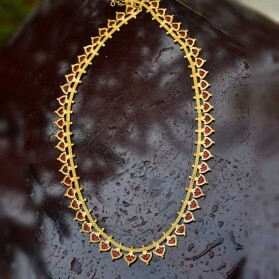 It will give a classic and trendy look to your beauty on festive occasions and Marriages with any outfit. Extravagant Premium Gold Plated Cubic Zirconia Jhumkas. American Diamond paving Ruby studded designer medium size Jhumka/Jimikki earrings with Pearl danglers. Adorn this delicately made beautiful grand look bridal jhumka earrings on marriage functions or Party. Excellent Gift for Girls. 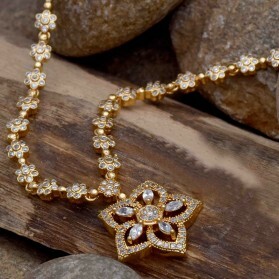 Grand Premium Gold Plated Cubic Zirconia Jhumkas for Special Occasions. Delightful American Diamond paving designer One gram gold medium size Jhumka/Jimikki earrings with Pearl dangler is embellished with Rubies. Adorn this delicately made beautiful stunning look jhumka earrings on marriage functions or Party. Excellent Gift for Girls and women. Big one gram gold Ramleela model Bali earrings with American Diamond and Ruby stones paving Ring drop and Pearl danglers which look stunning and preciously suitable for all kinds of dressy occasions. Indulge in it or gift it. Can be worn for engagement and wedding parties.